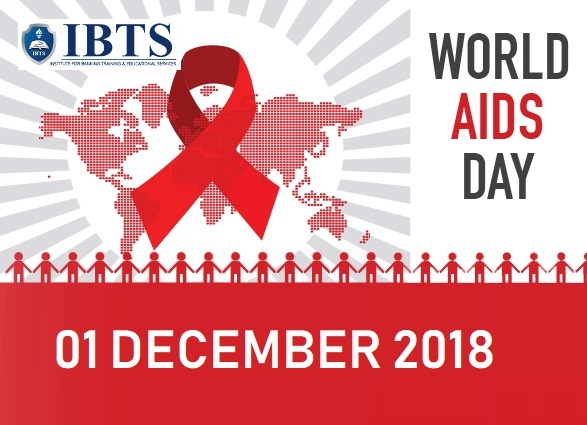 World Aids Day is being celebrated every year on 1st December (since 1988) to raise public awareness about Acquired Immuno Deficiency Syndrome (AIDS). The theme of 2018 Aids Day is ‘Know your status’. It is a pandemic disease caused due to the infection of Human Immunodeficiency Virus (HIV). As per the data released by the World Health Organization (WHO) till 2017, AIDS has killed between 28.9 million and 41.5 million people worldwide. Today, Nagaland state is celebrating its 55th formation day. On 1st December 1963, Nagaland became the 16th state of India. Today, Home Minister Rajnath Singh has inaugurated 19th 'Hornbill Festival' in Nagaland. The key economic activity of the state is Agriculture and the main crops include – rice, corn, millets, pulses, oilseeds, etc. The state shares its borders with the state of Assam to the west, Arunachal Pradesh to the North, Manipur to the South and Burma to the east. The Border Security Force is celebrating its 54th formation day on 1st December 2018. India's Border Security Force (First Line of Defence of Indian Territories) was formed on 1st December 1965, after the Indo-Pak and India-China wars. With 186 battalions and over 2.57 lakhs military personnel, the BSF is the largest border security unit in the world. Senior IPS officers Rajni Kant Misra (1984-batch IPS officer-Uttar Pradesh cadre) is the present Director General of BSF. BSF Jawans have lived up to their motto of Duty Unto Death (जीवन पर्यंत कर्तव्य). BSF headquartered in New Delhi. Today, Defence Ministry Nirmala Sitharaman has launched the Armed Forces Week from 1st– 7th December 2018. The objective is to encourage citizens to make financial contributions to the families of war heroes and to pay respects to the brave sons and daughters of our nation. The Armed Forces Flag Day is observed annually in India on 7th December since 1949. The President Shri Ram NathKovind has inaugurated the 13th edition of CII Agro Tech India-2018 in Chandigarh. A total of 195 exhibitors (including 37 foreign exhibitors from 8 countries) will participate in the expo. The expo is one of the biggest confluences of stakeholders from agriculture and allied sectors. The UK is a partner country at the CII Agrotech this year. Tamil Nadu chief minister Edappadi K Palaniswamy has announced the hike of health insurance coverage from two lakh rupees to 5 lakh rupees a year (under Centre’s Ayushman Bharat scheme). The decision will benefit 1.58 crore families in the state. So far, 26.96 lakh people have been benefitted by the chief minister’s comprehensive health insurance scheme, availed medical treatments worth 5,133 crore rupees. Union Minister Nitin Gadkari has inaugurated the second edition of Khasdar Mahotsav at the Ishwar Deshmukh College of Physical Education in Nagpur. According to Mr Gadkari, It is an attempt to provide our next generation with better infrastructure like roads, homes, education, skill development and make them aware of our rich cultural heritage. India’s lone individual Olympic gold medallist, shooter Abhinav Bindra (36-year) has been conferred the sport’s highest honour for his outstanding services as the chairman of the International Shooting Sports Federation’s Athletes Committee. He was a member of the ISSF Athletes Committee (from 2010 to 2014) and chairman (2014 to 2018). He has been bestowed with the Blue Cross (the ISSF’s highest award). Bindra succeeded in the post by the Kimberly Rhode (legendary American shooter). Bindra created history by winning the 10m air rifle gold at the Beijing Olympics in 2008. Former US President (41st) George HW Bush (94-years) passed away in Houston, USA. His son, George W Bush also served as 43rd US President. Bush, the last veteran of World War II to serve as President, was officially the longest living President in US history. He had also served as the US Vice President for eight years. According to data released by the Central Statistics Office, India's economy grew at 7.1% for the second quarter of 2018-19. The Gross Domestic Product (GDP) at constant prices had grown at 6.35 in the July-September quarter of the last fiscal. The CSO estimates state that GDP at constant prices was 33.98 lakh crore rupees for the second quarter this fiscal, which is a marked increase from 31.72 lakh crore rupees for the same period in 2017-18. The Kimberley Process Certification Scheme (KPCS) Plenary 2018 was held in Brussels, Belgium. EU handed over the Chairmanship of KPCS to India from1st January 2019. The 4-day Plenary also witnessed discussion on environmental challenges in diamond mining and industry responsibility. During the Plenary session, India held bilateral meetings with Botswana, USA, Russian Federation & World Diamond Council to discuss on various issues related to KPCS and its working groups. India is the founding member of KPCS and is actively involved in KP activities to ensure that almost 99% of the diamond trade in the world is conflict free. According to AIFF General Secretary Kushal Das, The All India Football Federation (AIFF) will launch a school-level project by March-April 2019 in association with the game's world governing body FIFA. Under this programme, the AIFF touched about 15 thousand schools across the country. The project 'schools league', will be launched on a pilot basis. The Star Sports India Football Forum 2018 organised by SportzPower in Mumbai. According to WFI President Brij Bhushan Sharan Singh, The Wrestling Federation of India (WFI) has rolled out its revolutionary contracts system for the grapplers. The wrestlers have been placed in four Grades. The contracts will be reviewed after one year. WFI is the only Indian Olympic Association-affiliated National Sports Federation to offer contracts to its athletes and only the second after the BCCI. Grade A Rs. 30 lakhs Bajrang Punia and Vinesh Phogat along with Pooja Dhanda.